• How do Plants Fight Bacterial Infection? An international team of scientists led by the University of California, Davis (UC Davis), and Michigan State University (MSU) has released the genetic sequence of the cultivated strawberry. Whereas most species are diploid, strawberry is an octoploid, with eight copies of the genome from multiple, distinct parental species. The research, published in Nature Genetics, unveils how strawberry became an octoploid. Patrick Edger, MSU assistant professor of horticulture and co-author on the paper said that they identified all four extant relatives of the diploid species that sequentially hybridized to create the octoploid strawberry. The four diploid species are native to Europe, Asia, and North America, but wild octoploids are almost exclusively distributed across the Americas. The results also suggest a series of intermediate polyploids, tetraploid, and hexaploid that formed in Asia, before the octoploid event that occurred in North America, involving the hexaploid and a diploid species endemic to Canada and the United States. According to Edger, they found that one of the parental species in the octoploid controls fruit quality and disease resistance traits, and they have identified genes controlling various target traits. For more details, read the news releases from UC Davis and MSU. GM food is safe for consumption, says Zambia Health Minister Dr. Chitalu Chilufya while presenting in Parliament the results of studies conducted about GM food consumption. He emphasized that the studies have shown that GM food had no effect on the health of human organs. The Health Minister was speaking in response to a question raised by MP Tutwa Ngulube from Kabwe Central about the implementation of GM importation ban. Dr. Chilufya said that the government had lifted the ban and that supermarkets are already selling imported GM products in accordance with the provisions of the Biosafety Act. He further explained that the ban on importation was implemented since the country had no capacity to handle GM products because of lack of qualified human resource and appropriate infrastructure, as well as absence of policy and legal framework for modern biotech applications. Thus, after the ban was implemented, the government initiated to have the biotech and biosafety policy in 2003 and enacted the Biosafety Act in 2007 alongside the creation of the National Biosafety Authority. Read more from News Diggers and Genetic Literacy Project. Scientists at the University of Calgary (UCalgary) discovered a canola protein with an important function in pollination. According to the researchers, the protein dubbed as phospholipase D1 (PLD1) could be used to develop more vigorous canola hybrids by speeding up pollination amidst challenging environmental conditions. Drs. Marcus Samuel and Sabine Scandola identified a number of unique proteins using a proteomics approach and showed that some have important functions both for pollination and for the biochemical process called self-incompatibility response. This particular response makes canola plants reject self-pollination and self-fertilization to prevent inbreeding. Inbreeding is detrimental for hybrid seed production because it weakens the genetic diversity and hybrid vigor. 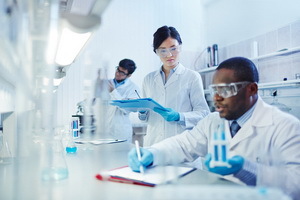 The researchers focused on PLD1 protein. Using genetic engineering, they knocked down the expression of PLD1 in self-pollinated canola, which led to plants that do not accept their own pollens to fertilize themselves. Thus confirming the role of PLD1 in successful pollination. Through biochemical techniques, PDL1 was found to produce the phosphatidic acid liquid molecule in the female reproductive tissue that enables the pollen (male reproductive tissue) to establish on female parts of canola plants, leading to fertilization and seed reproduction. Read the original article from the University of Calgary. HOW DO PLANTS FIGHT BACTERIAL INFECTION? A research team at University of California, Riverside (UCR) led by plant pathologist Hailing Jin has identified a regulatory, genetic mechanism in plants that could help fight bacterial infection. Using Arabidopsis thaliana, Jin's research team found that Argonaute protein, a major core protein in the RNA interference machinery, is controlled by "post-translational modification," a process that occurs during bacterial infection. This process controls the level of Argonaute protein and its associated small RNAs. In normal conditions, the Argonaute protein and its associated small RNAs are well controlled by arginine methylation, a type of post-translational modification of the Argonaute protein. This regulates the Argonaute protein and prevents it and the associated small RNAs from accumulating to high levels, which allows plants to save energy for growth. During bacterial infection, however, arginine methylation of the Argonaute protein is suppressed, leading to the accumulation of the protein and its associated small RNAs that contribute to plant immunity. Together, these two changes allow the plant to both survive and defend itself. For more details, read the UCR news release. Iowa State University (ISU) researchers have overcome the quirks of the soybean cyst nematode's DNA to sequence its genome. Soybean cyst nematodes are parasitic roundworms that infect soybean roots and devastate yields in infected fields. Nematode populations not only build up in fields but stay for years. The challenges with the genetics of the soybean cyst nematode kept scientists from assembling the full genome for years. The researchers sequenced the genome first by sequencing smaller portions and then piecing those portions together into the full genome. About a third of the nematode's 29,769 genes are repetitive, which complicated the sequencing and assembly process, said Rick Masonbrink, an associate scientist in the ISU Office of Biotechnology and lead author of the study. Andrew Severin, co-author of the study and manager of the ISU Genome Informatics Facility, likened the genome to a jigsaw puzzle of a blue sky in which all the pieces are identical in shape and color. But long-read sequencing technology made it possible to assemble a high-quality genome. For more details, read the ISU news release. SEARCA Biotechnology Information Center's (SEARCA BIC) fifth policy brief, which is based on a study authored by Dr. Maria Monina Cecilia A. Villena, Program Head of SEARCA's Knowledge Management Department, explores how the public makes sense of message frames (i.e., key messages or story lines grouped together in support of a particular message) used by the government when disseminating information about genetic modification or biotechnology. It also explores how farmer leaders and traders understand the scientific information about genetically modified (GM) crops, and how they use message frames to enable them to participate in social discourses on crop biotechnology. Results of the study suggest that although biotechnology adoption is considered a significant component in promoting agricultural development in the Philippines, there are still communication gaps that can be addressed through the different communication channels involved in numerous advocacy efforts. Accordingly, future science communication efforts need to be based on a clear and precise understanding of the audience's values, knowledge, and attitudes in relation to their respective interpersonal and social contexts. Dr. Villena concluded that it is also essential for the general public to develop a solid foundation for the understanding and appreciation of science. The 2018 Policy Brief series is produced in partnership with the International Service for the Acquisition of Agri-biotech Applications (ISAAA), Coalition for Agriculture Modernization in the Philippines (CAMP), Department of Agriculture-Biotechnology Program Office (DA-BPO), Program for Biosafety Systems (PBS), and DA-Bureau of Agricultural Research (DA-BAR). For more details, read the full policy brief. Agriculture plays a key role in achieving many of the Sustainable Development Goals. However, a recent study conducted at Lund University in Sweden reveals that researchers, policymakers, and farmers in Europe currently have different, often conflicting priorities for sustainable agriculture. The researchers identified where the major gaps are in terms of observable and measurable variables in sustainable agriculture. The study analyzed the priorities given to 239 social and environmental variables potentially important for sustainable agriculture. The analysis found shared consensus among researchers, policymakers, and practitioners for 32 key variables relating to policies on climate, environment and agriculture, as well as subsidies and land ownership; on farm management choices including tillage and use of fertilizers, irrigation, and pesticides; and on environmental outcomes including soil and biodiversity. However, the research showed that today, there is currently little alignment between research, policy, and practice for sustainable agriculture in the EU. Researchers, policymakers, and farmers should consider the 32 variables identified as a starting point for future research, policy, and farming decisions. Researchers should work together with policymakers and farmers from the beginning of a project, co-designing research and deliberately selecting variables to be included. Researchers should use concrete variables to quantitatively evaluate tradeoffs between priorities, to enable policymakers and farmers to balance these to achieve sustainable agriculture. For more details, read the news article in Lund University website or the paper in Proceedings of the National Academy of Sciences (PNAS). Researchers from the University of Oxford have discovered CHLORAD, a new biochemical pathway in plants which helps regulate chloroplasts. Chloroplasts are organelles that define plants and are responsible for photosynthesis. Chloroplasts are composed of thousands of different proteins, most of which are made in the cell and imported by the organelle. These proteins must all be very carefully regulated to ensure that the organelle keeps functioning properly. The CHLORAD pathway works by removing and disposing of unnecessary or damaged chloroplast proteins; hence the name CHLORAD, which stands for "chloroplast-associated protein degradation". Peter Burlinson, Frontier Bioscience Lead at the Biotechnology and Biological Sciences Research Council (BBSRC) said that the discovery of the CHLORAD pathway is a good example of how insights from fundamental plant biology research can reveal potential new strategies to develop crops that are more productive and resilient. For more details, read the article in Oxford Sparks. Citrus fruits have always been known for their sour, zesty taste. With a little help from science, researches have finally identified what gives the lemon, orange, grapefruit, and other similar fruits their particular tangy flavor. Scientists from the University of Amsterdam found out that the sour taste of citrus fruits is due to the acidity in the vacuoles of the citrus' fruit cells. Vacuoles are the compartments of the cell that are filled with fluid that the cell needs to survive. In the case of the citrus fruit, it was found that the citrus' vacuole fluid is extremely acidic due to CitPH1 and CitPH5 genes. These genes are not only responsible for the acidity of the cell vacuoles, but for the determination of the flower color as well. Results showed that citrus plants express more CitPH1 and CitPH5 compared to other sweet fruit varieties. Thus, the citrus produces more sour-flavored fruit. These findings can support future studies that may be able to determine just how sweet or sour we want our fruits to be. Read more in Nature Communications and Genetic Literacy Project. Brassinosteroids (BRs) are compounds produced by plants affecting their growth and development. In Arabidopsis and rice, transcription factors BZR1 and BES1/BZR2 have been defined as downstream regulators of the BR signalling pathway. Similar proteins (GMBZLs) have been found in soybean, where in GMBZL2 was recognized to have a conserved role in BR signalling regulation. However, additional study is needed to investigate the role of other GMBZLs. Thus, Li Song from Yangzhou University and team investigated the role of GmBZL3 and the results are published in BMC Plant Biology. Gene expression patterns, conserved domains in coding sequences, and genomic replication times of four GmBZL orthologes indicated that GmBZL3 may have conserved functions in soybean development. The team overexpressed GmBZL3 in the Arabidopsis BR-insensitive mutant bri1–5 partially rescued the phenotypic defects including BR-insensitivity. This further indicates that GmBZL3 functions are conserved between soybean and the homologous Arabidopsis genes. Furthermore, the team identified BR-regulated GmBZL3 genes, and the findings show that GmBZL3 is a major transcription factor responsible for BR-regulated gene expression and soybean growth. Read more findings in BMC Plant Biology. A study conducted by 18 researchers from various research institutions in Europe concluded that glyphosate resistant NK603 maize consumption has no adverse effects in Wistar Han RCC rats. The results of the study is published in Archives of Toxicology. This new finding debunks the infamous study of Gilles-Eric Séralini published and later retracted in Food and Chemical Toxicology in 2012, which claimed that NK603 causes tumors in rats. 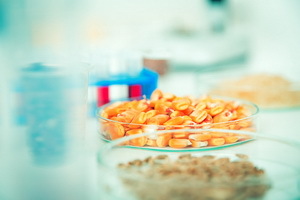 The new study was funded by the European Commission to test the potential subchronic and chronic toxicity as well as the carcinogenicity of NK603 maize through the conduct of 90-day and 2-year feeding trials following the OECD Guidelines for testing of chemicals and EFSA recommendations on the safety testing of whole-food/feed in laboratory animals. Results showed that feeding of glyphosate-treated and untreated NK603 has no adverse effects on the rats. The researchers presented recommendations on the scientific justification and added value of long-term feeding trials in the GM plant risk assessment process. Read the open access research article in Archives of Toxicology. The US National Science Foundation developed the Plant Genome Editing Database hosted by the Boyce Thompson Institute to serve as a central repository information about CRISPR-Cas-generated mutants in plant species that are being developed or have been reported in the literature. NSF invites researchers who have developed and characterized genome-edited plant mutants to submit their information to the database. To date, the database contains information about 400 tomato mutant lines targeting ~150 candidate genes linked with host immunity to different pathogens. Read more details in Molecular Plant journal. Researchers at the University of Saskatchewan conducted a survey that solicited opinions of experts (scientists, government officials, agribusiness professionals, etc.) about the potential benefits of site-specific genome-edited crops (free from foreign DNA) in comparison with genetically modified and conventional counterparts. Results showed that the experts largely agree on the potential benefits of genome-edited crops in terms of agronomic performance (disease resistance, drought tolerance, high yields, and others) final product quality (nutrition, shelf life, and others), climate change resilience, and global food security. 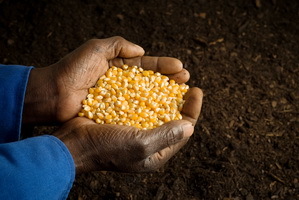 Because of the accuracy and precision of genome editing technology, majority of the experts believe that genome editing offers more opportunity than conventional methods to develop crops with enhanced agronomic performance, product quality, farmer profitability, climate resilience, and global food security. However, the opinions of experts on socio-political and environmental issues relating to the technology were less consistent. The respondents were also divided in their views on whether genome-edited crops will enhance consumer confidence or open foreign market access. Read the research article in Transgenic Research. The Asia-Pacific Association of Agricultural Research Institutions (APAARI) has published a set of strategic papers and country status reports from the Regional Expert Consultation on Agricultural Biotechnology – Scoping Partnership to Improve Livelihoods of Farmers in Asia-Pacific which was held in Bangkok, Thailand in May 2018. The expert consultation was conducted to fill the gap within the Asia Pacific Region on the use of biotechnology to improve farmer livelihoods. To download the reports, visit the APAARI website.